I first thought this was Glendyon Foster but thanks to Joy Wilson McDaniel I now know it was his brother, Leonard. There may be other photos where I’ve incorrectly identified Leonard as Glendyon. If so, let me know! 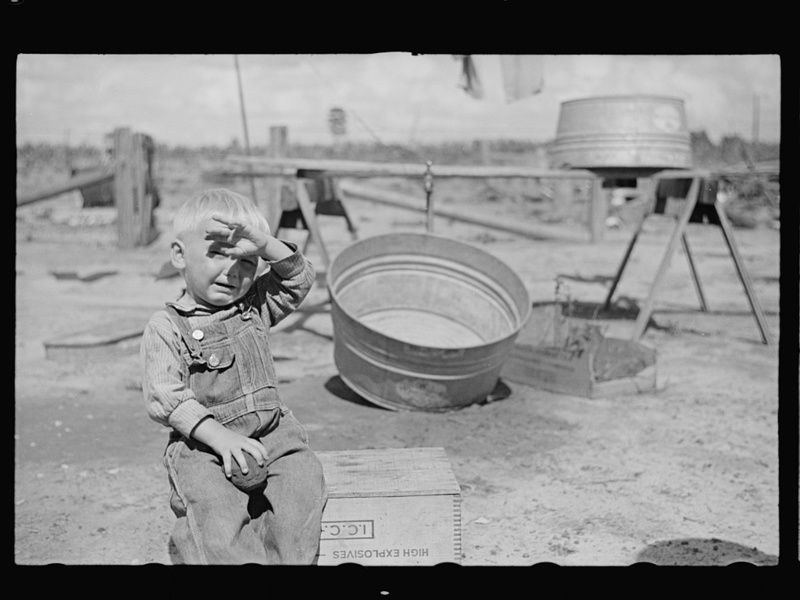 He and his family were well-documented by John Vachon during the course of the project. I have another photo from the same day, which is slightly damaged, but I will add it to the post when I’ve finished editing it. How about those No. 3 washtubs? I loved playing in my great-grandmother’s when I was a boy! this can’t be Glydon if it was made in 1938. It is his brother Leonard. Brian, The box that Leonard is sitting on says ” High Explosives”. Could possibly be dynamite that was commonly used during that time? Website Design © Brian Brown and Vanishing Media, 2011-2017. Images are from the Library of Congress and in the public domain (unless otherwise stated) and therefore are not the property, implied or otherwise, of Brian Brown or Irwinville Farms. The bulk of images presented here originate in the collections of the Library of Congress, and as a result, some may appear a bit out of focus. This is due to the fact that the library controls reprinting of the works by showing them in lower resolution. I have chosen the best available sizes for illustrating this site; to obtain the best copies, made from master negatives, contact the Library of Congress.